This marks the first foray of OddBike into the video realm, the opening installment of a series called OddBike Stories. Stories will showcase interviews with motorcycle personalities you might not know, but should. They will be the underdogs, the innovators, and the quiet geniuses who probably won't get any mention in the mainstream motorcycle press. It will be a place where the most interesting people you've never heard of can share their experiences. Each episode will be presented in two formats: a condensed version edited into a 15-20 minute video, and an uncut version featuring the complete interview for those who want to learn more. Our first Story presents Ken Austin, an independent motorcycle tuner and mechanic based in Calgary, Alberta, Canada. Ken works independently at Kenny's Tuning, a home-based shop where he applies his considerable skill as a mechanic to work on a wide variety of bikes. Ken caters to discerning riders in Alberta who have learned of his skills through word of mouth, but his reputation as a superb mechanic didn't come out of nowhere. He is one of the most intelligent and inquisitive tradesmen you'll ever meet, and his skills have been hard won through decades of experience as a mechanic, motorcycle/sailboat/mountain bike racer, and CSBK/AMA race tuner. 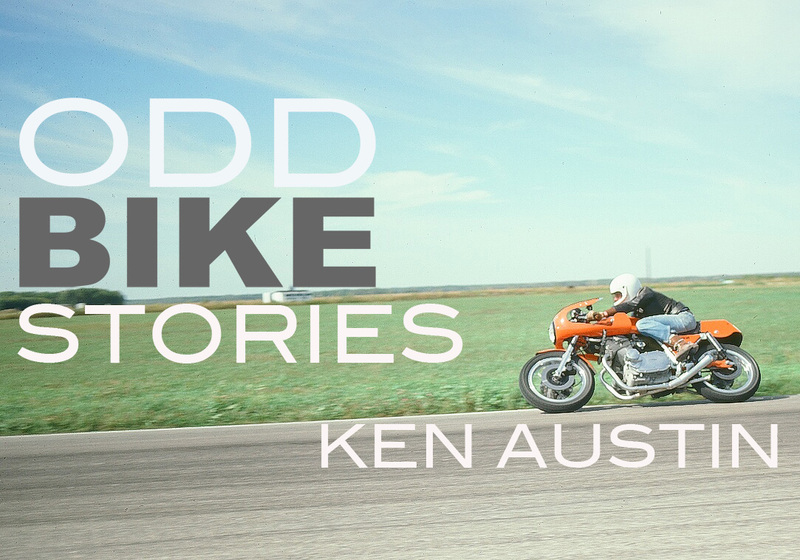 His story is fascinating and I'm proud to present Ken as the subject of our first OddBike Story.